The Rahu transit in Cancer will be favourable for you and you can expect various positive changes to take place. You will be feeling more bold and confident now and will be able to take on challenges with renewed energy. You will be able to turn the tables on your enemies and will be able to silence your detractors with a strategic approach. Your overall financial status may improve and there are chances of wealth coming in from new sources. You will benefit from even areas you never expected would bring good results. During the transit of Rahu in the 6th House, you may face some minor issues in matters related to employment, so it would be better if you do not take things for granted. You may feel fitter and more energetic during this transit and thus you will not mind to go the extra mile. But, it will be it will be better to attend to even the most minor and seemingly insignificant health issues, asd these may create issues later on. During the Rahu transit in Cancer, you may face certain issues in routine activities, so yo will have to ensure that you organise your activities well. Do you want to know how this transit may impact your finances? 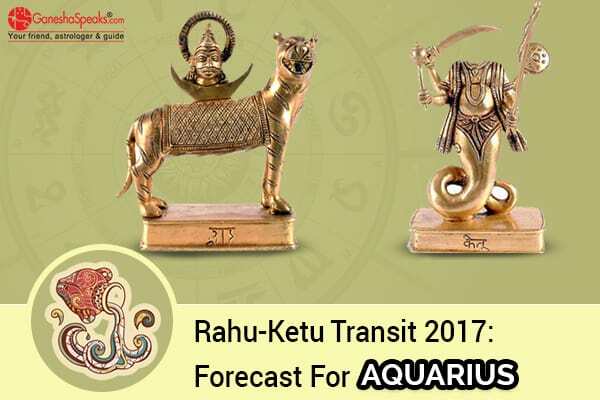 Avail the exclusive Rahu-Ketu Transit Report For Finance now! The transit of Ketu in Capricorn will prove to be mostly beneficial for you apart from some aspects. During this transit of Ketu in the 9th House, you will be able to master the 'art of letting go'. It means, that you will be able to realise that all things are not under your control and thus you will not try to exercise control on others unnecessarily and will gradually lower your expectations from others. Professionally, you are likely to face certain issues as others will feel that you are not giving your best. You will have to stay updated with the latest trends and update your skills. Try to take things more seriously and pay attention to details. Those living abroad may or planning to travel abroad may face some issues. You may also not receive expected results from your contacts abroad or foreign business ventures.